Do not be afraid! 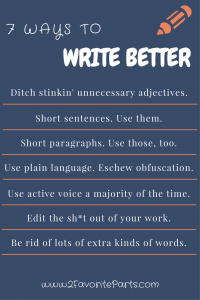 It doesn’t take a ton of work to improve your writing. 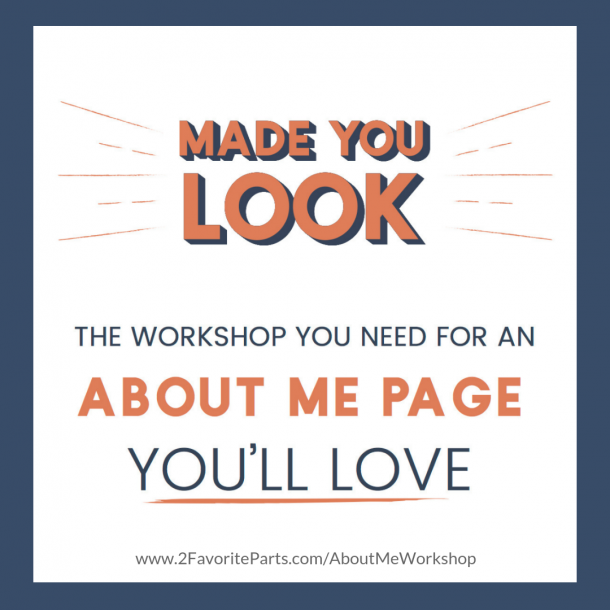 For now, we’re talking about making those tweaks to your blog or story that will help you rise above the “blech” that is so prevalent. To help you convey your message with clear, concise writing that draws the reader in and moves them along. 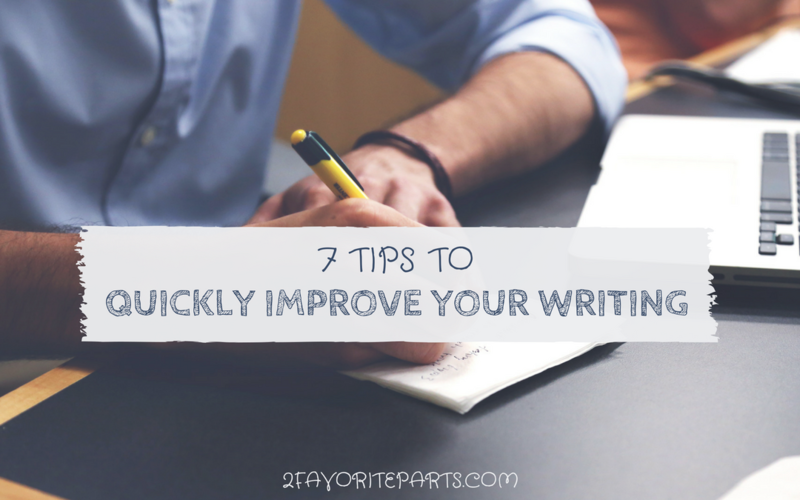 Incorporate these 7 Writing Tips into your routine, and you’re bound to see results. Let me know what works for you! If you like these and want more, check out my free ebook with 21 Tips to Energize Your Writing. Each writing tip has a corresponding action step so you can see results right away. And while “It was scorching hot” or “sweltering” are certainly an improvement, they still don’t capture it. Remember “Show, don’t tell?” That’s what I’m talking about here. 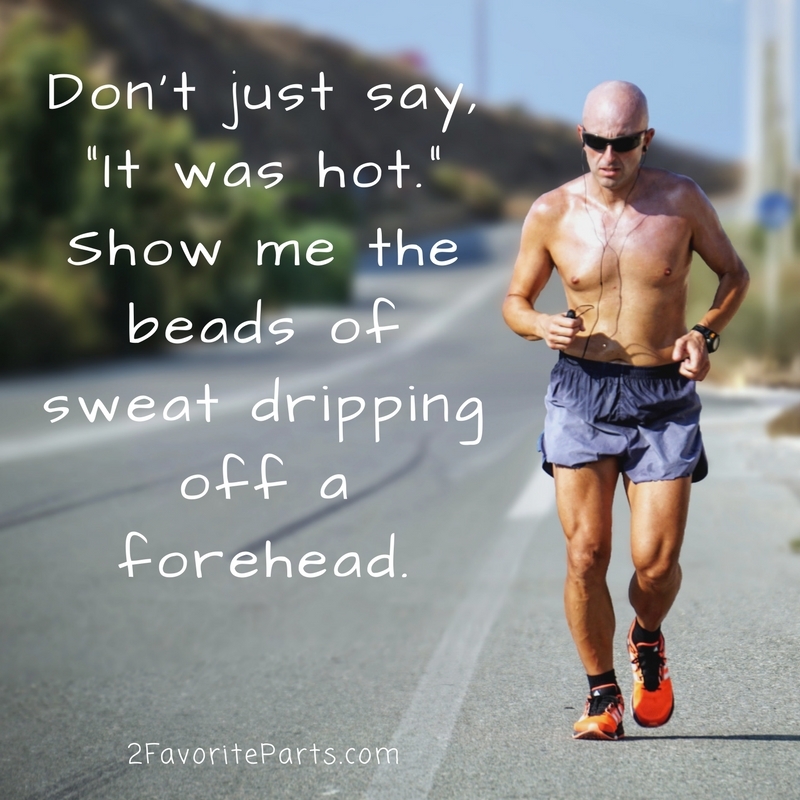 So instead of telling the reader it’s hot or scorching, show them. Describe the bead of sweat dripping off the tip of a character’s nose, his tee-shirt sticking to his back, the crunch of brown grass that hasn’t had a drink of rain in weeks. 2. Short sentences. Use them. The longest sentence in this blog so far is 34 words. And that’s probably pushing it for the online space. While it’s true that you should juggle sentence length to avoid being choppy, you also want to keep your writing crisp — and that’s accomplished with short words, sentences, and paragraphs. But see how we brought it back again? The short sentences provide pacing and a breather from the longer ones. 3. Short paragraphs. Use those, too. I’ll keep this short: two to three sentences is usually plenty! Think visually for a blog or story. A book is different, but even then, you’d like to break up the text so it’s not overwhelming. 4. Use plain language. Eschew obfuscation. Turns out I had seen it years ago in the classic, and uproariously funny, “Fumblerules” by William Safire. There is rarely a time when overblown language is useful. Most of us are not writing academic articles. When you bust out the thesaurus and try to sound smarter, you’re more likely alienating the reader. Don’t make them reach for a dictionary … because they won’t. They’ll click to something else. And think of it this way: the smartest writing is that which best conveys the message. 5. Use active voice a majority of the time. I think of passive voice as a writer getting tired or lazy, like when we get fatigued at the gym and our form breaks down. Active voice gives your sentences oomph. It propels them along and makes them clearer. Passive tends to muddy and weaken them. 6. Edit the sh*t out of your work. It is backwards to think of your writing like a blank canvas upon which you will paint a masterpiece. Instead, think of it as a piece of marble, ready to be chiseled in order for the beauty to be revealed. In that vein, go ahead and write anything at all. Just babble, scribble, get a whole bunch of words onto paper or screen. Then whip out your chisel and chip away until it looks the way you’d like. 7. Be rid of lots of extra kinds of words. I jest. But seriously, a lot of writing out there is just … chewy. That’s how a former editor of mine would describe a sentence that was too wordy. And then he’d start lopping words off. Much better, eh? Save the chewiness for warm chocolate chip cookies. I hope you enjoyed these tips! 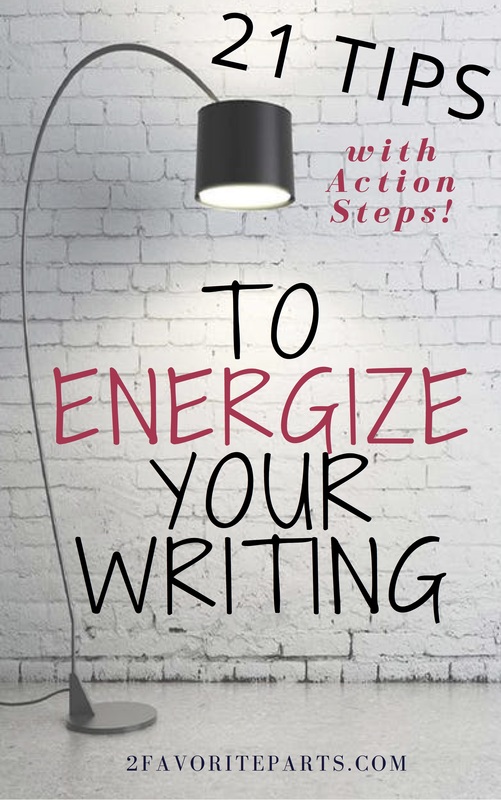 If you’d like even more, grab a copy of my free ebook that contains 21 Tips to Energize Your Writing. And please chime in below with any of your own thoughts. Yes to all of this! 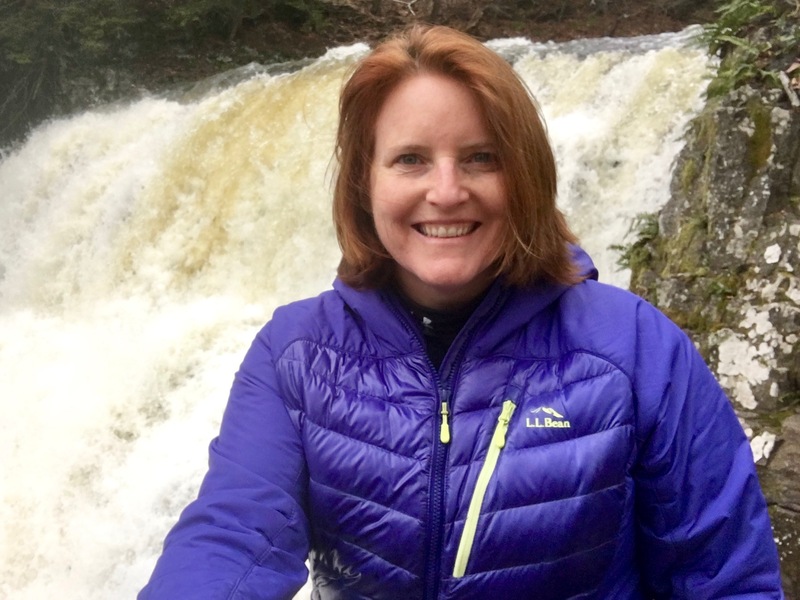 I had to learn fast in blogging about the short sentences and paragraphs and I still have to remind myself with each new post as I can be a bit wordy! I think we can all be too wordy, Sarah! I find myself constantly editing/cutting things out (one nice thing about a blog! I can continue to edit for years. lol). Yep, too long sentences, passive voice, trying to don´t use the same word over and over again and because of that using synonyms for it… these are my weaknesses. Maybe the first point too is something I could improve my writing. Thank you for sharing those tips. We all do it and I have to remind myself of these things every day. 🙂 One thing you might look at if you’re having trouble using the same word over and over again is sentence structure. Maybe you can move things around a bit to come at it from a different angle. At the same time, synonyms aren’t always “bad” – I do check a thesaurus sometimes! The tip is more about the sound of the writing and whether words are unnecessarily complex or distracting. Thanks for the comment! Great tips girl!!!! I completely agree with you there’a nothing better than being simple, short and straight to the point! Love this article. I agree with using short sentences and leaving out filler. I want to read content that is to the point and not waste my time. Sometimes, I’m guilty of writing sentences that are too long. I can’t seem to get my point across. Hi James – guilty here as well! One of the reasons I love writing is because I get the chance to edit. haha Thanks for the comment! This is an excellent read. 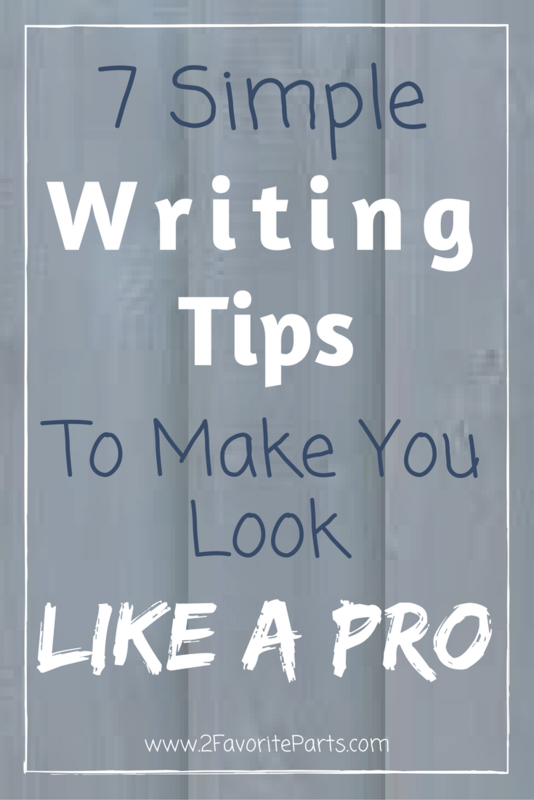 I have been Googling blog writing tips for months because I started my own blog and my writing is terrible. Your article is one of the best I have found so far. Really helpful tips for me as a newbie blogger. Hope you’ll write more about writing techniques.